Herat (Afghanistan) (AFP) - Migrant workers squeezed into battered taxis pull into the Four Seasons of Freedom hotel in western Afghanistan, part of a wave of Afghans forced to leave Iran after a currency implosion wiped out their earnings. A record 442,344 Afghans have voluntarily returned or been deported from Iran this year as looming US sanctions -- which began to be reimposed this week -- fuelled a run on the rial and spurred inflation. Iran's currency has lost around half of its value against the dollar since US President Donald Trump abandoned a landmark 2015 nuclear deal in May, triggering a reimposition of tough penalties on the Islamic republic. That has devastated not only the savings of Iranian households, but also the remittances of undocumented Afghans. Desperate and jobless Afghans have crossed the porous border with Iran for years in search of work to support their struggling families back home. Many of those families are farmers now suffering through Afghanistan's worst drought in living memory, compounding the misery caused by 17 years of conflict and underscoring their reliance on the remittances. 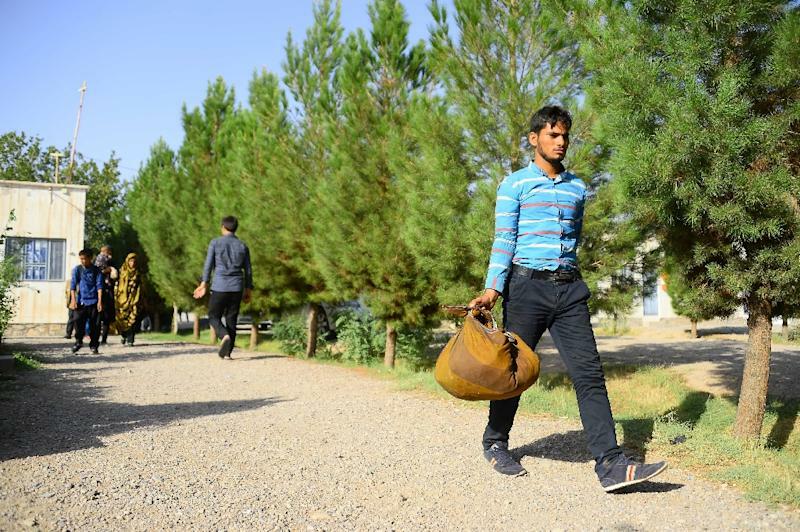 Abdul Mussawir, who went to Iran three years ago, used to earn the equivalent of 18,000 afghanis per month (about $260) working in an auto factory in the central city of Isfahan. Mussawir, 22, sent money to his parents and nine younger siblings in Parwan province, supplementing the meagre income of his taxi driver father. But as the run on the rial gathered pace, his monthly earnings shrivelled to the equivalent of 6,000 afghanis. "I was sending almost all the money I was earning to support my family... (but) it wasn't enough," said Mussawir, wearing a shirt emblazoned with "Keep Karma + Carry On". After taking a taxi from the border to the Four Seasons of Freedom hotel in Herat city, a distance of roughly 140 kilometres (90 miles), Mussawir hoped to find better paid work in his conflict-torn country. "It doesn't make sense to come back here but I have to," he said, a look of resignation etched on his face. The 442,344 Afghans who returned from Iran in the first seven months of 2018 was more than double the number for the same period of 2017, according to the International Organization for Migration (IOM). 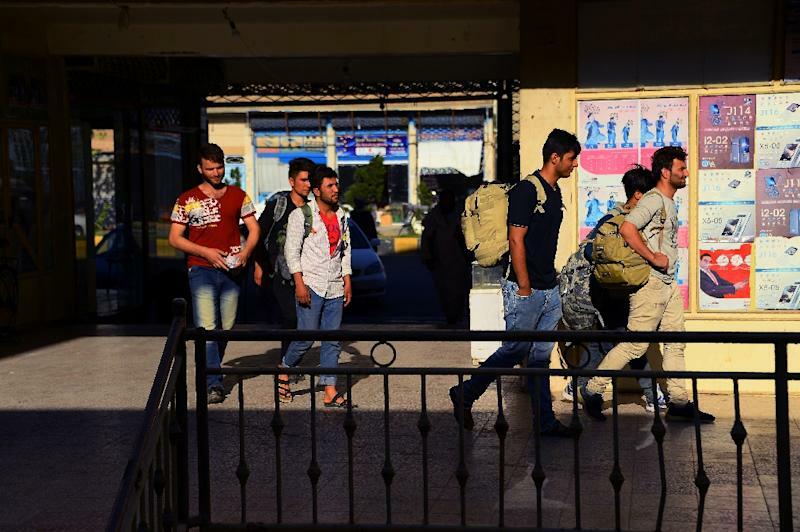 "The number of Afghan returnees from Iran in 2018 has been unprecedented," IOM spokeswoman Eva Schwoerer told AFP in Herat. The figure included 191,056 "spontaneous", or voluntary, returns. The remaining 251,288 were deported as Iran toughens its border controls. Among those kicked out was 17-year-old Aleem Mohmini, who spent three months working on a tomato farm near the southern city of Shiraz before Iranian police caught him. 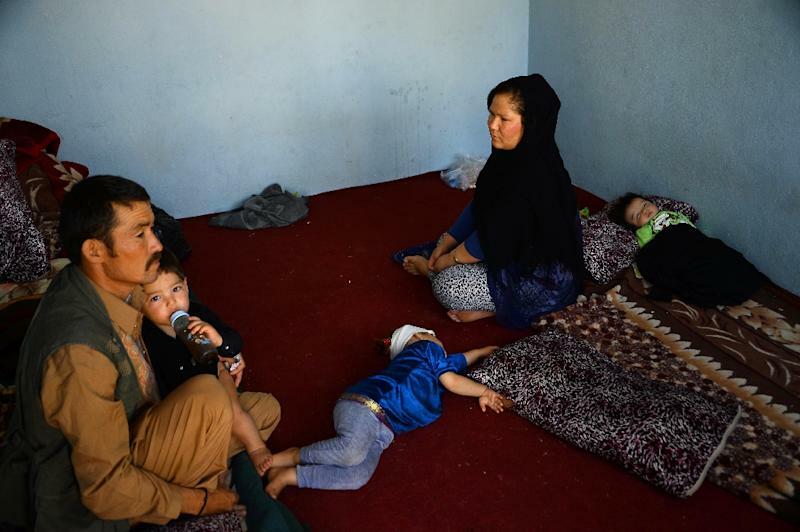 As he sat with other minors in the IOM's transit centre for returnees in Herat, Mohmini pondered his future in a country where unemployment is rampant. "I don't know what I should do. There's no one in my family to earn money," said Mohmini, who was the breadwinner for his household in the northern province of Baghlan. The IOM expects the flood of returnees to Afghanistan to continue as US sanctions targeting Iran's access to US banknotes, key industries and oil sales exacerbate the country's economic woes. The influx is having "direct and immediate effects" on the Afghan economy, the IOM said in its latest report. It is pushing down wages for casual labourers in cities and fuelling the displacement of drought-stricken Afghan farmers, many of whom have long relied on income from relatives working in Iran. More than 70,000 people have been forced to move to cities due to the lack of water and food, according to the United Nations, with many of them living in makeshift tents and competing with returnees for limited jobs. Iran's currency freefall is also hurting Afghan businesses in Herat that rely heavily on returning Afghans for sales of mobile phones, backpacks and shoes. "Business was much better in the past... (people) were rich, they could buy everything," said Zia Fahmi, whose sales have plunged more than 80 percent in recent months. As newly arrived returnees loitered outside his store, Fahmi said he may be forced to close the shop and join the migrant trail to look for work in "other countries". Abdullah Wasi Zahariyan, who spent a year working on a cucumber farm in Isfahan, also told AFP he plans to go to "another country" -- most likely Turkey, and then Germany -- if he cannot find a job in Afghanistan. Zahariyan, 22, decided to return home after his earnings plunged 60 percent due to the devaluation of the rial. "If there is no job in Afghanistan, there is no future," he told AFP.